NASDAQ-listed online travel services firm MakeMyTrip (MMT) has appointed Saujanya Shrivastava as its chief marketing officer (CMO). Shrivastava will be responsible for leading marketing initiatives across the company's business lines and group entities. He will also be responsible for strengthening the brand's association with leisure travel, besides establishing its leadership on the mobile platform. "We are looking forward to Shrivastava’s vision and leadership in defining the next phase of our marketing efforts and delivering growth for the company," said Rajesh Magow, co-founder and CEO, MMT India. "MMT has ambitious plans lined up for the next phase of growth. It is a great opportunity for me to be a part of this journey," said Shrivastava. Shrivastava replaces Mohit Gupta, who was acting as interim CMO. Gupta heads the holiday division at the company, and was given the additional responsibility after the then CMO Manish Kalra had left the organisation to join Amazon last year. 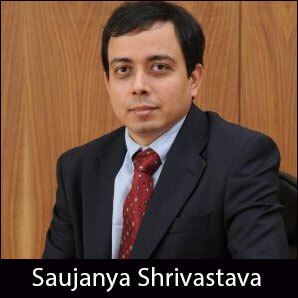 With close to 20 years of experience, Shrivastava has worked across FMCG, e-commerce and financial services sectors. Prior to joining MMT, he was CMO of Bharti AXA Life Insurance. An IIM-Kolkata alumnus, he had earlier also worked at companies like FutureBazaar.com, PepsiCo and Cadbury India. Founded in 2000, MMT had launched its India operations in 2005. It had reported a 37.5 per cent (34.8 per cent in constant currency) rise in revenues less service costs or net revenues to $32 million for the second quarter ended September 30, 2014 over the year-ago period. Last year, the company had bought the entire equity interest in a group of companies comprising the EasyToBook.com Group (ETB).